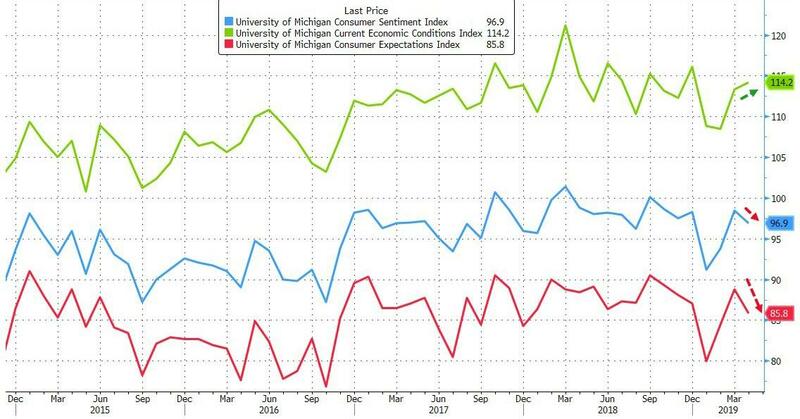 Following March's v-shaped recovery (led by low- and middle-income Americans), University of Michigan Sentiment survey was expected to limp lower in preliminary April data, and limp it did. Current economic conditions index rose to 114.2 vs. 113.3 last month. Expectations index fell to 85.8 vs. 88.8 last month. The data do suggest that consumers thought that its stimulative impact on the overall economy has now run its course. What has been of increasing importance to consumers are rising nominal incomes, and low inflation, producing strong gains in inflation adjusted incomes. 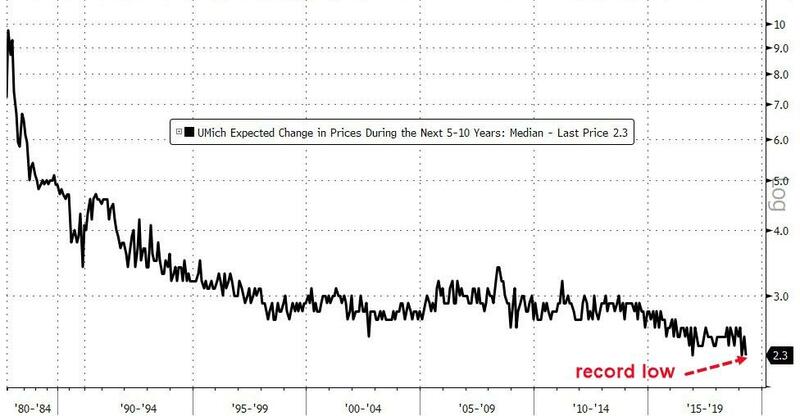 Unfortunately, vehicle and home buying have not benefitted from low prices, but consumers have increasingly voiced complaints about rising vehicle and home prices, and slight declines in unit sales of both markets are anticipated in 2019. 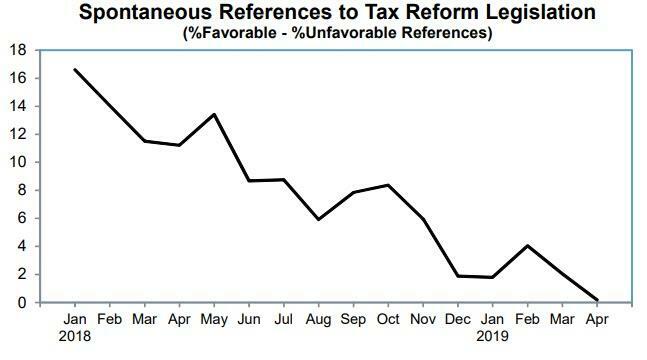 Consumers were somewhat less likely to hold favorable prospects for the national economy, especially longer term prospects, although most of the shift has been sidewards at positive levels during the past few years. Perhaps the most followed gauge of the health of the economy is job growth. While half of all consumers anticipated no change in the national unemployment rate, the other half was split between expecting increases and anticipating declines.